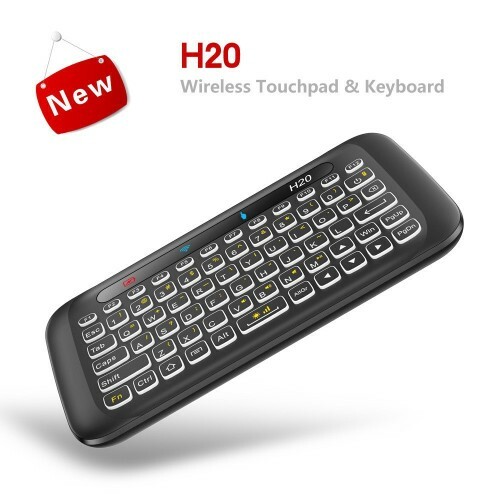 · 【Two-Sided Design】Mini wireless keyboard and Mouse Combo & IR learning. 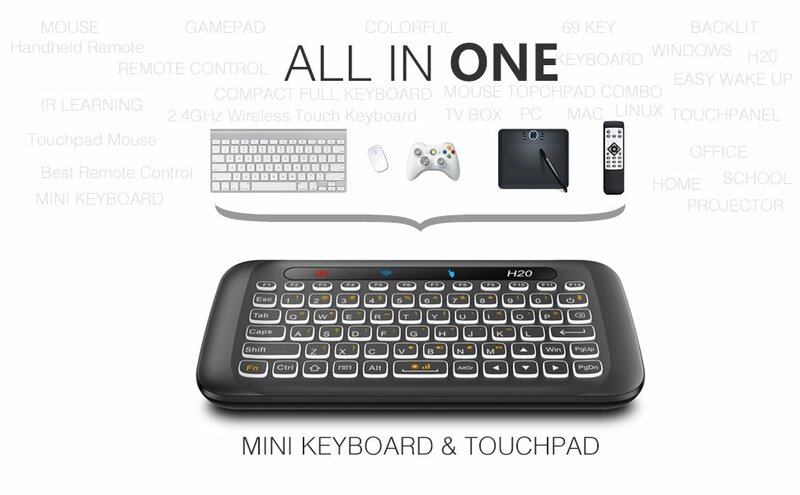 Automatical identify Two-Sided- Obverse Side (KeyBoard ON,TouchPad OFF). 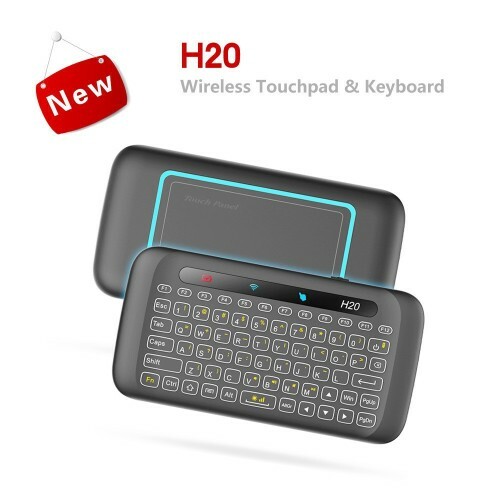 Reverse side (TouchPad On,KeyBoard OFF).Clearly visible Symbols and letters, 3 levels of brightness can be adjusted. 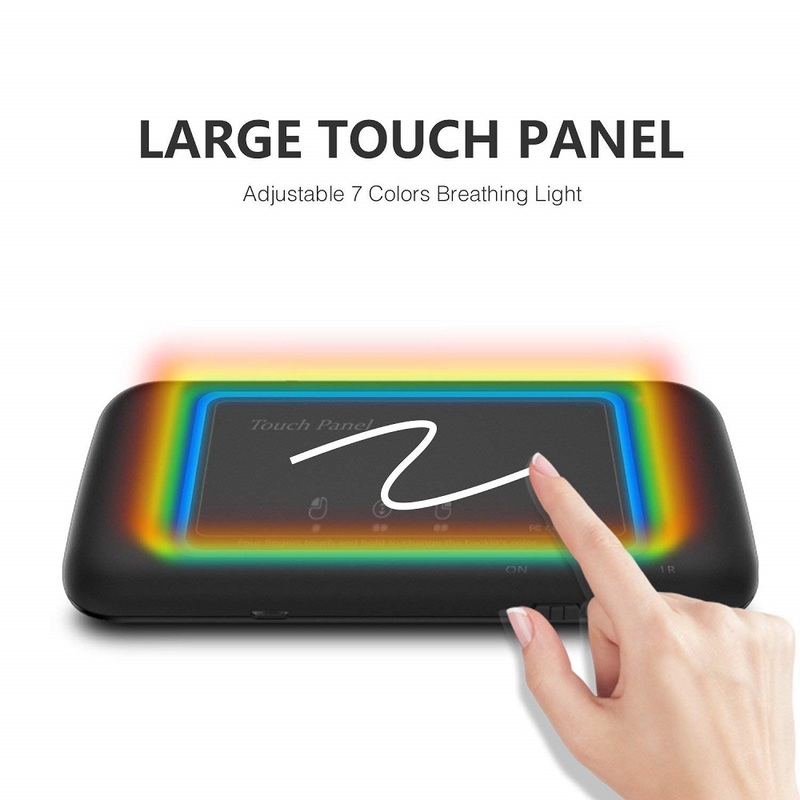 · 【Colorful Breathing Light】TouchPad with Colorful breathing light,four fingers touch and hold to change the backlit's color. 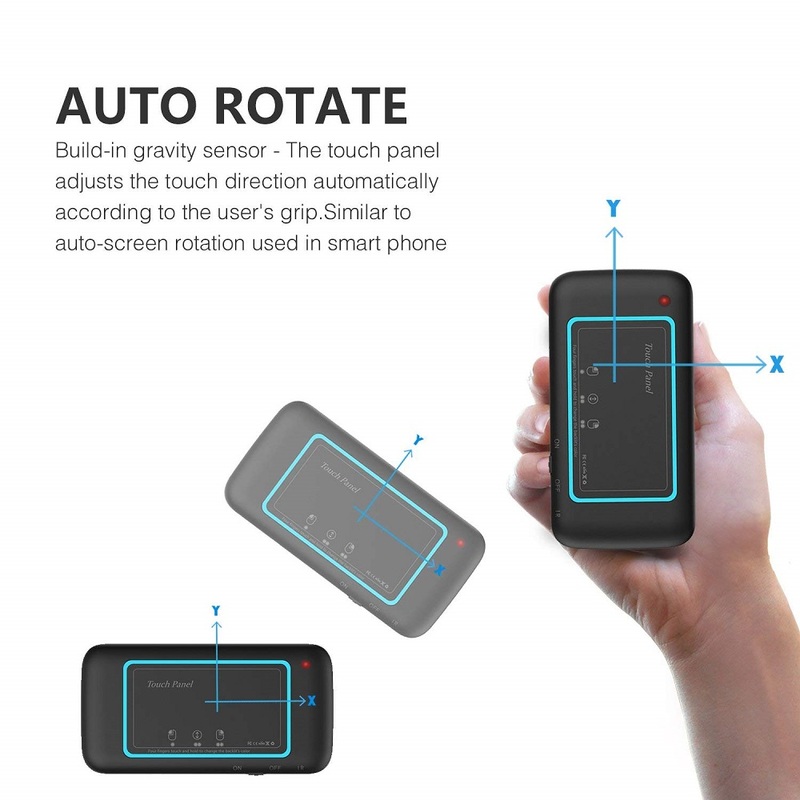 · 【Auto rotate Touch Panel 】Build-in gravity sensor, The touch panel adjusts the touch direction automatically according to the user's grip(similar to the auto-rotate function of a mobile phone).Touchpad supports horizontal or vertical use. · 【Auto sleep and wake up mode & IR Learing】No need to press any key,this mini wireless keyboard will auto wake up with backlight when you pick up.Build-in IR learning, you can learn and control your TV Box shutdown with this remote. 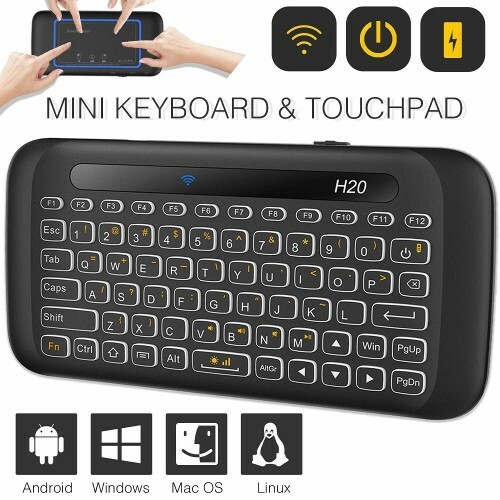 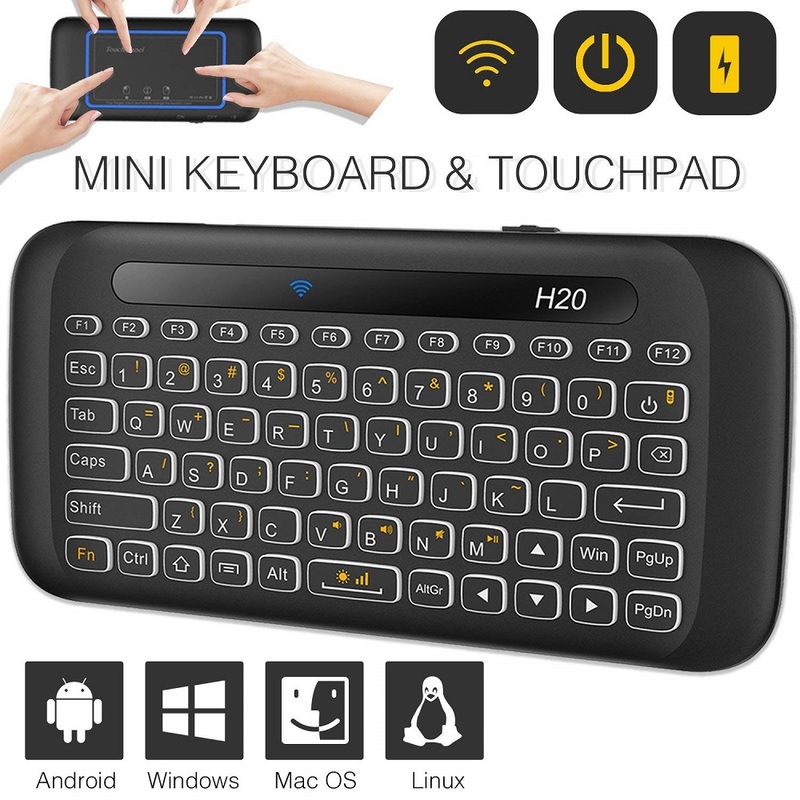 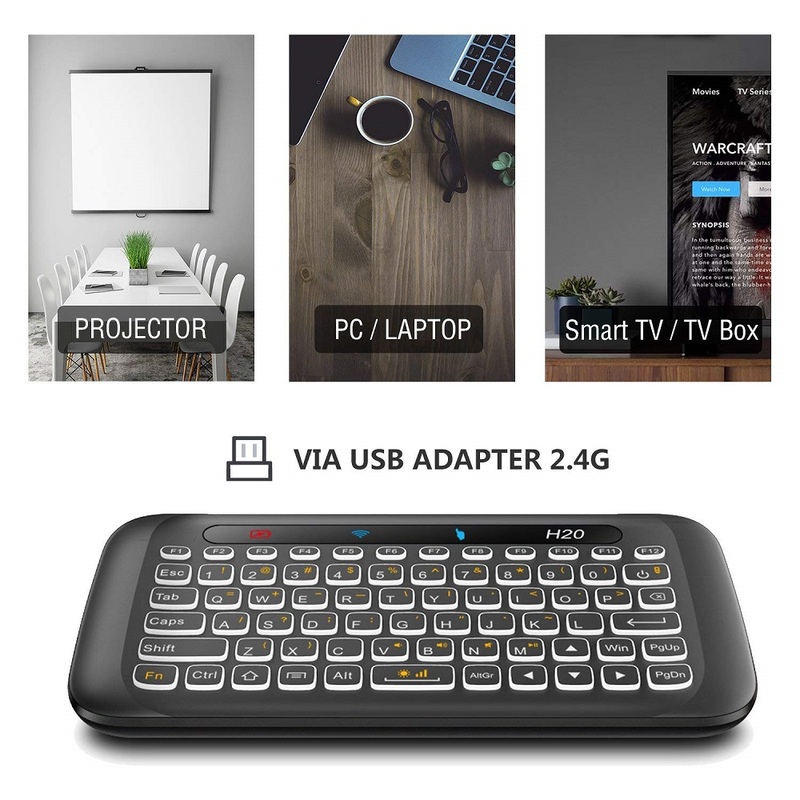 · 【Multiple Device Support】This is a 2.4GHz Mini Wireless QWERTY keyboard with TouchPad combo, USB interface available for PC, laptop, Mac, OS, Linux, HTPC, IPTV, Google android tv box, XBMC, Windows 2000/XP/Vista/7/8/10. 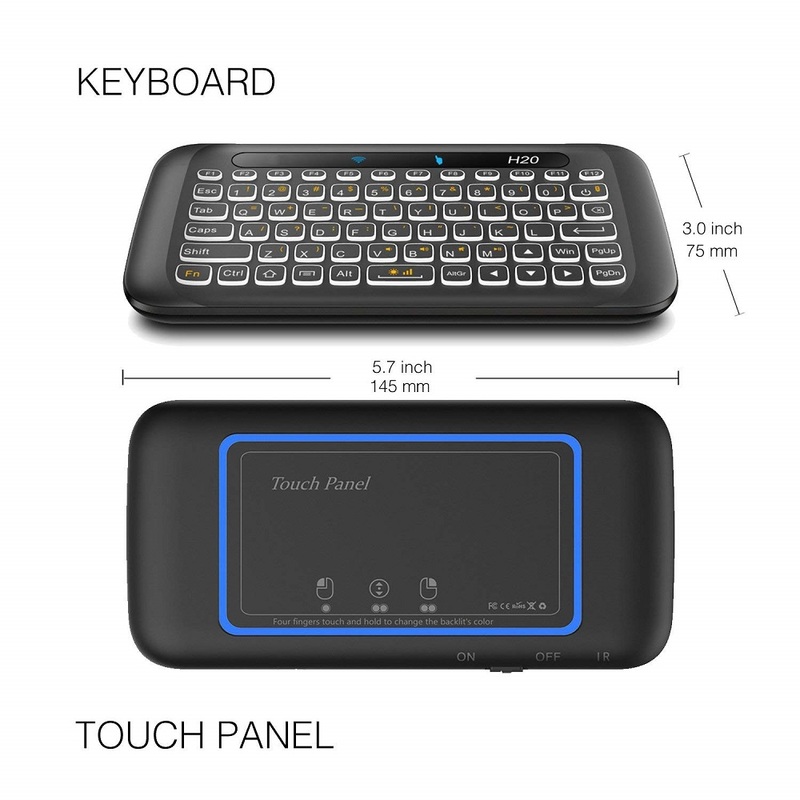 Intelligent wake-up function, pick up or touch to wake the keyboard, do not need a specific button to wake up, even in the dark can easily use. 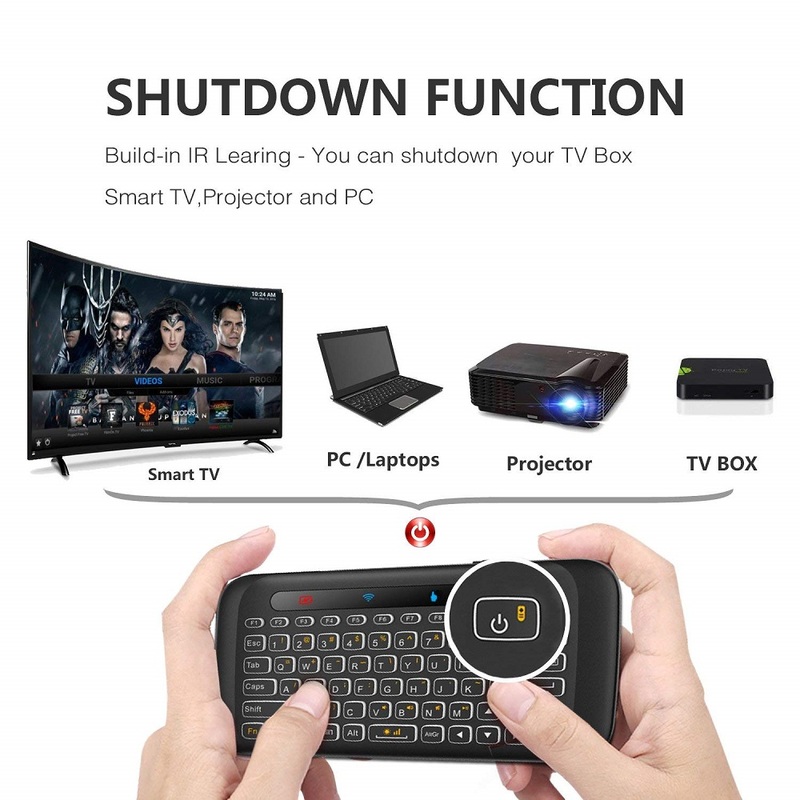 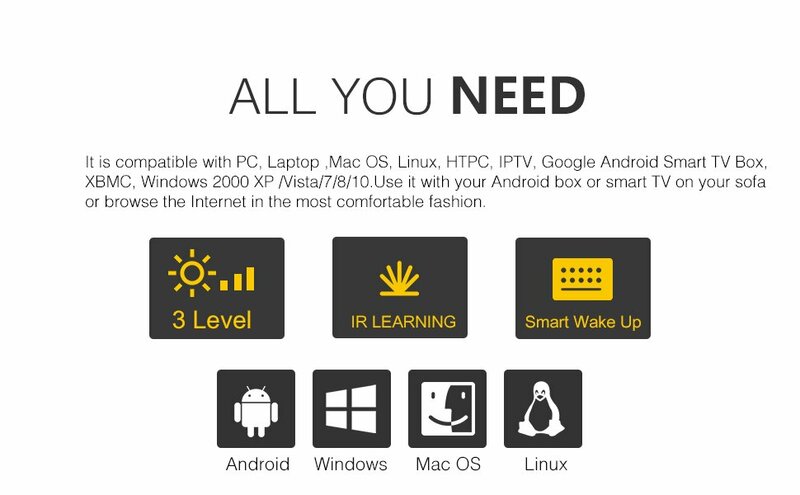 · Note: Not compatible with Samsung Smart TV or Fire Stick.